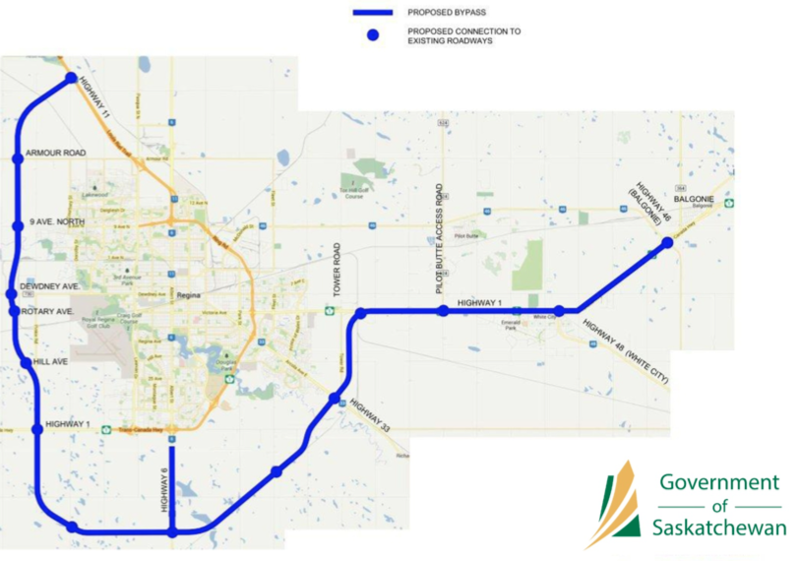 Some taxpayers in Saskatchewan have suggested to us that the government’s decision for the layout of the Regina bypass will cost millions more than necessary. Unfortunately, investigating their claim is easier said than done. How on earth are PowerPoint documents for a road project confidential? Or say briefing notes on the matter? After all, we’re not talking about secret military operations manuals or documents pertaining to confidential police briefings. To be clear, we’re not calling the idea of building a bypass a waste of money. Building roads, bypasses, bridges and other core infrastructure is one of the prime reasons we all pay taxes. At this point we’re just trying to learn more about the government’s rationale for how it came to decide on the configuration it chose. Once we learn more about the province's rationale and analysis on other options, then we can weigh the government's justification with claims we're hearing that the layout costs more than necessary. Fortunately, it looks as though some additional information should be forthcoming from the government (without a charge to the CTF). That's good news...especially as straightforward transparency on this issue seems to have been bypassed to date.